The Council of Trade Unions (CTU) this morning welcomed the apology from the Greater Wellington Regional Council for the massive failure of Wellington’s bus network, but noted they did not appear to have a clue how to fix the problems facing bus drivers or commuters. CTU President Richard Wagstaff said that the Council would not be able to meet their 8 week deadline for fixing route issues without acknowledging the operator Tranzit’s failure to negotiate with bus drivers. 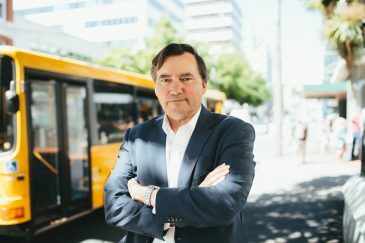 “They have said that key deliverables will be a bus ‘turning up’ at the right time at every stop, but it seems like they think their buses drive themselves,” he said.